This entry level Pu-erh Mini Tuocha with Rose floral fragrance is great for Puerh beginners, as we as its individually wrap making it convenient for using. This tea is made from ripened pu-erh tea compressed with rose flowers to create these gorgeous miniature cakes. The rose lends a light, sweet floral note to the mellow earthy pu-erh flavors, perfectly creating a unique flavor profile. 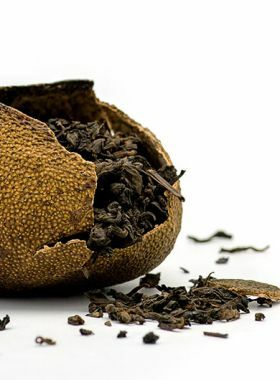 Pu-erh teas are specially grown and processed so that when stored properly they age well over time, taking on deeper, richer, more complex flavors and aromas. In fact, many pu-erh bricks and cakes which are decades old now are quite delicious. Generally speaking, pu-erh teas are labelled with the year in which they were picked and packaged as well as the region they were grown in, much like a vintage wine. 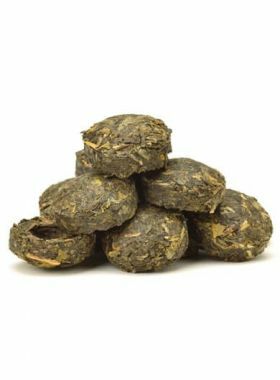 Pu-erh tea should ideally be stored in a cool, dry, dark place, where it cannot absorb odors, sunlight, or air. When stored as such, the flavor and value of the tea increases greatly over time. The tissue paper wrapped over the cake can help to keep the tea dry and protect it from odors, though it can deteriorate over lengthy storage times due to oxidation. 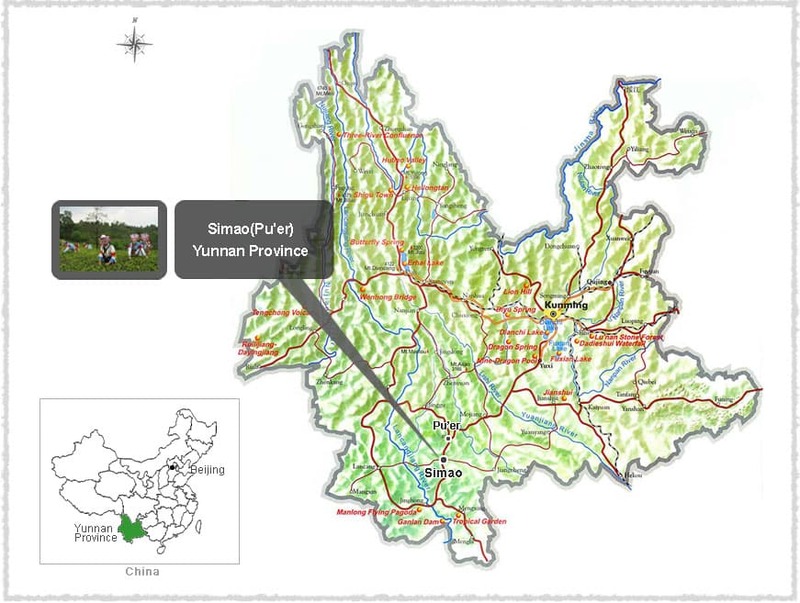 Ying Pan Shan Tea Garden is in Simao County, Pu’er City, Yunnan Province, covering about 40,000 mu. The mountainous landscape here is always surrounded by thick clouds and mist. 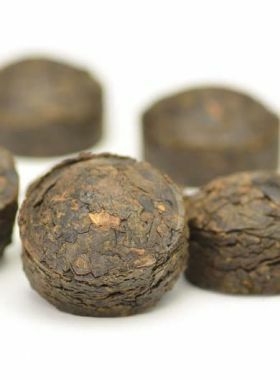 The original material for these tea comes from the Simao area of Yunnan province, which has been producing high-quality pu-erh tea for more than 800 years. 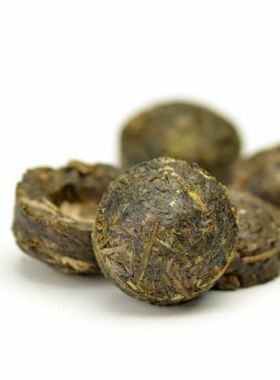 This region is right on the edge of Tibet, at a high elevation with warm summers and abundant rainfall, resulting in the tea trees growing especially large, plump buds and leaves, perfect for making pu-erh. 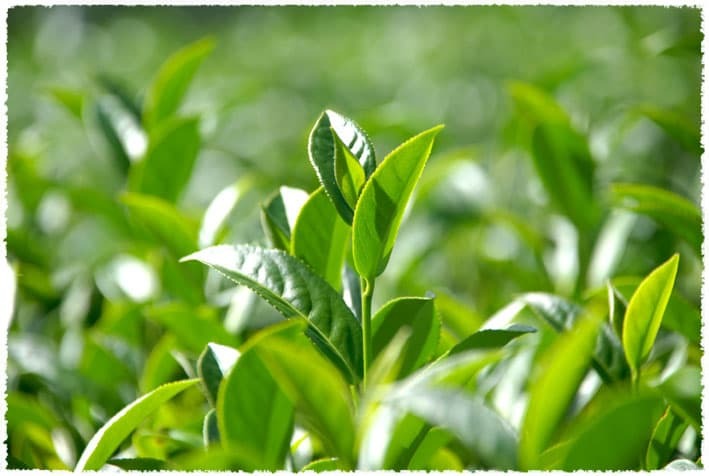 The Yunnan large-leaf tea tree is a fairly rare variety in the world, and is a kind best suited for making pu-erh tea. Yunnan has a unique advantage in its geographical position, with its abundant rainfall and perfect temperatures marking it as ideal for planting large-leaf tea trees like this. The leaves from these plants are rich in polyphenols, catechins, and amino acids.